Through the centuries a strong chin has always been considered a sign of physical beauty and strength. On the other hand, a person with a receding chin is characterized as having a “weak “chin. Since we always view ourselves in a forward plane we do not see our chin undersized and small until we view our profile in the mirror or on a photograph. Chin augmentation or mentoplasty is designed to correct this weak chin problem. Speak with Dr. Gentile to learn more about how chin augmentation can restore facial harmony and give you a restored sense of self-confidence in the way you look. The chin’s prominent position on the face means that imbalances can throw off the symmetry of your entire appearance. 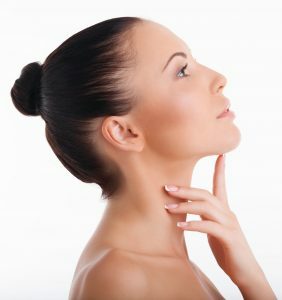 A weak, recessed or underdeveloped chin are common experiences for those who would benefit most from chin augmentation. The procedure is a minimally-invasive surgery to implant a chin-shaped prosthetic to add projection and shape to the chin. Recently, the popularity of chin augmentation has risen because more and more individuals are realizing that with this simple procedure, you can achieve subtle, but profound results. Chin augmentation and implants can achieve great results for men and women and are generally recommended for adults since adolescent’ skull structure may still be developing. With a fuller, more dominant chin, the overall proportion of the face is restored for a stronger balance and symmetry. Chin enhancement, also known as genioplasty, is performed by surgically creating a “pocket” where a prosthetic chin implant can be placed above the existing chin bone. The procedure achieves long-term results. Chin Augmentation often requires the use of a chin implant. Chin implants are a prosthetic insert usually made from a variety of synthetic materials or, in some instances, acellular dermal matrices. 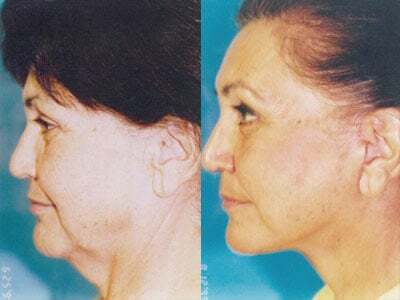 Older methods of chin augmentation were prone to create an obvious, implanted appearance, but modern techniques are more than capable of delivering natural-looking results that fit your natural anatomy. Solid Silicone: these are the most popular material used for creating implants and come in a variety of shapes and sizes and also offer lower jaw contouring. Silicone implants are not directly attached to bone tissue and rely on an accurate implant pocket. However, silicone implants are easily removed. Polyethylene: a harder material with pores, polyethylene implants are commonly known as “Medpor” implants. The pores are designed to allow tissue to attach to the implant and provide blood supply that protects against infection. Medpor implants are difficult to remove once they are placed. Polytetrafluoroethylene: also known as “Gore-Tex” these implants, are a stronger, more rigid type of implant. Gore-Tex implants also are designed with pores for a strong tissue bond. Acellular Dermal Matrix: these are chin implants derived from human cadavers. Also known as “Alloderm” implants, these are the most natural type of implant but require thorough cleaning to avoid an allergic reaction and are not recommended by Dr. Gentile. During your consultation, a complete facial analysis will be performed so you can visualize the contour of your face and chin. The shape of your nose and dental bite are also important preoperative considerations. If you have an abnormal or dysfunctional dental bite, advancement jaw surgery may be indicated or a nose reshaping procedure may be required in conjunction with the chin augmentation to address the imbalance of the face. You should also consider that your chin augmentation is a more permanent solution than soft tissue fillers injected around your jaw and that the implant will feel more like your natural bone. Also, fillers are eventually absorbed, sometimes unevenly, and these injections need to be repeated continuously adding to the cost. There are two techniques used in chin augmentation: the first one consists of moving the chin bone forward through an incision inside the mouth; the second one places an implant in the front of the chin bone through an incision either in the mouth or in the skin underneath the chin. The inside of the mouth approach provides for a non-visible scar but the tradeoff is a higher risk of infection while the submental incision will also provide access for liposuction or other tightening procedures in the neck. Complications from chin augmentation are infrequent. The procedure is performed in four basic steps: anesthesia, incision, suture, and recovery. The surgical plan regarding incision location and type of implant are discussed and decided beforehand. Usually local anesthesia with IV sedation is used to ensure the patient is comfortable. After a small incision is made either inside the mouth or underneath the chin, the implant is inserted into a pocket created adjacent to the jawbone. For some types of implants, surgical screws are used to secure them directly to the jawbone. Also, although a surgical technique with an incision inside the mouth may be well-hidden, this method also poses a greater chance of infection due to the environment in the mouth. After placement and assessing the position and shape of the implant, sutures close the incision and a compression garment is wrapped to reduce swelling and hold results in place. There is generally very little recovery time needed after chin augmentation. Patients can return to very light, normal activity within a couple of days after their surgery. Swelling and bruising are common are easily controlled with pain medication, ice and cold compresses. Your new chin shape will be immediately visible but may require as much as two months of healing to become finalized. Patients can return to more demanding physical activities within three to four weeks of their treatment or as determined appropriate during their follow-up appointment. The results of a chin augmentation are long-term. Chin Augmentation is a safe and relatively straightforward procedure, which can be easily combined with other complementary treatments to better achieve a patient’s aesthetic goals. 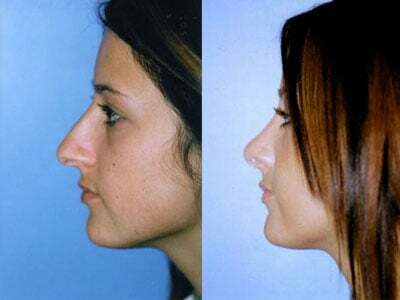 The rhinoplasty, or “nose job” is another restorative procedure for your facial balance. The rhinoplasty is a sophisticated surgical technique that can improve the various structures of your nose such as a large nasal hump, deviated septum or bulbous nasal tip. With its central position on the face, your nose plays a big part in your overall appearance. Restoring a balanced, proportionate nose can have a major impact on your facial harmony. A rhinoplasty is performed either in an “open” or “closed” method depending on the goals of the procedure. Open rhinoplasty refers to a surgical technique where a small incision is made along the skin in-between the nostrils, which allows better access to nasal structures. 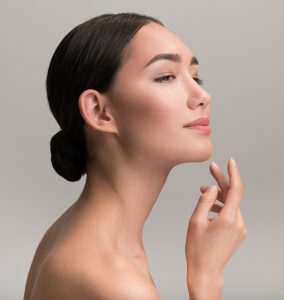 Closed technique means the entirety of the procedure can be performed through the interior of the nose, thus keeping surgical marks completely hidden. Dermal fillers and Botox cosmetic are injectable, anti-aging treatments that can restore your appearance to a more youthful, refreshed state. Dermal fillers address lost facial volume or can fill deep creases around the cheeks or mouth whereas Botox is a powerful wrinkle prevention treatment. These treatments are convenient, quick and effective, so they are easily combined with other cosmetic procedures. Liposuction is a fat reducing technique that can achieve beautiful, natural-looking results for facial sculpting. Liposuction is the gold-standard technique when it comes to achieving spot reduction of stubborn fat deposits. Modern liposuction techniques make it possible to achieve extremely precise results, sculpting fat from the neck and face. Liposuction is performed using local anesthesia with or without IV sedation, thus improving its safety by avoiding the need for general anesthesia. With a thin, hollow tube called a cannula inserted through a small incision, fat is suctioned away from the body permanently. Fat tissue removed from the body via liposuction cannot return, but it is always possible to regain weight if healthy habits are not followed. 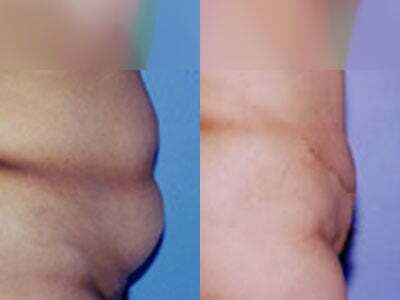 The benefits of liposuction are that it is capable of fine-tuning and sculpting with a degree of accuracy unmatched by any other technique. Especially for those who are interested in double-chin reduction and facial sculpting, liposuction safely delivers consistent, beautiful results. Additionally, with the use of tumescent techniques, a form of local anesthesia, the recovery period is minimal, with patients being able to return to daily, light activity within a few days. 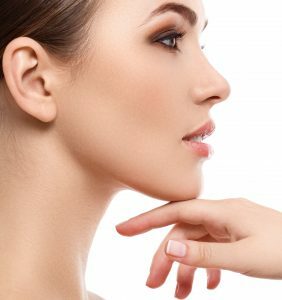 Chin augmentation procedures vary in price according to the specific techniques used and whether or not additional treatments are included. You will receive an accurate quote at the end of your consultation after Dr. Gentile has complete a thorough assessment of your goals and situation. Dr. Gentile is happy to answer any questions you may have about chin augmentation during a personalized consultation. Contact our office to schedule your consultation and you’ll be on your way to a balanced, proportionate facial structure.